FairWind offers a wide range of possibilities for professional and personal development. Our fast-growing international company gives people incredible opportunities to take up new challenges every day. Looking for challenge and adventure? Ready to be part of an amazing team? Want to secure your spot in the growing wind energy industry? Join our global team of over 900 technicians now! Step into our office and become part of a rapidly growing global team. 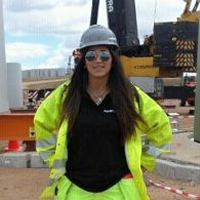 FairWind offers the opportunity for individuals to develop their career in an important global industry. Based on a culture of mutual respect and trust, FairWind is a company where everyone has the opportunity to realize their own potential and contribute to the company’s success. Check out some of the successful stories of our employees and technicians. FairWind is a place for career-oriented people. 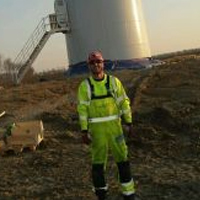 When I started working as a technician, I knew almost nothing about the wind industry. FairWind invests in people – they offered me all necessary support and trainings. In short time, I became an installation coordinator. I appreciate the freedom and responsibility, when I lead projects. I still have some goals and I know that I can achieve another success soon. You should start working for FairWind, if you want to meet challenges every day. Not only are you able to learn new things here, but you also get the possibility to get to know yourself better. I had always thought that I suffered from a fear of height but I managed to overcome it at FairWind and now, I work as a Rope Access Technician. The sky is no limit! Every day is a new adventure! I am excited to see the progress we made on a project, and especially for the new things I learn day by day. For me, it is the only opportunity I have to see this world of alternative energy, to learn about cranes, more languages, and especially to meet more people, each one teaching me something new. The best part of my job at Fairwind is undoubtedly meeting people from different countries: it’s amazing how much you can open your mind when the world does not end on the other side of the border. I cooperate with FairWind because I appreciate its clear financial policy. You are highly motivated because you know how to develop yourself. FairWind’s pipeline is full of projects so you are sure that if you are good, you will go on projects regularly. FairWind offered me a sense of stability which is priceless, nowadays. 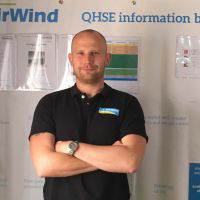 The European Wind Academy is a wind energy training supplier working closely with FairWind. 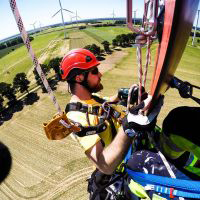 The European Wind Academy’s main goal is to train wind energy technicians in the most professional way possible, in order to secure safe and reliable services forcustomers worldwide.